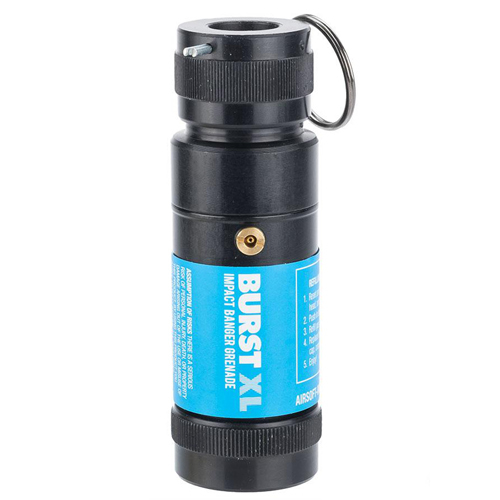 The XL Burst is Airsoft Innovations' new loud and proud simulation flashbang. 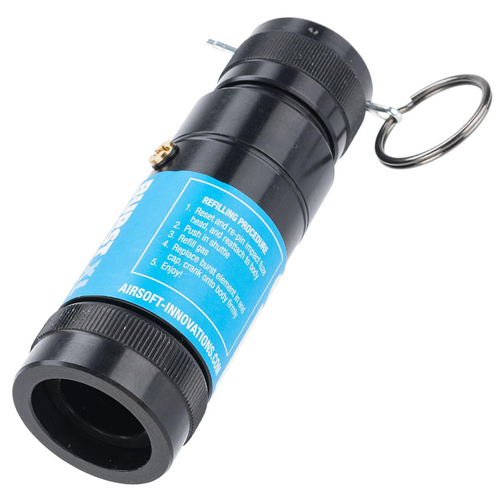 Made from fully CNC machined aluminum, this impact-activated grenade begs to get tossed, and only requires propane and dirt cheap burst elements. With a 125dBA bang, you'll know it when you hear it. 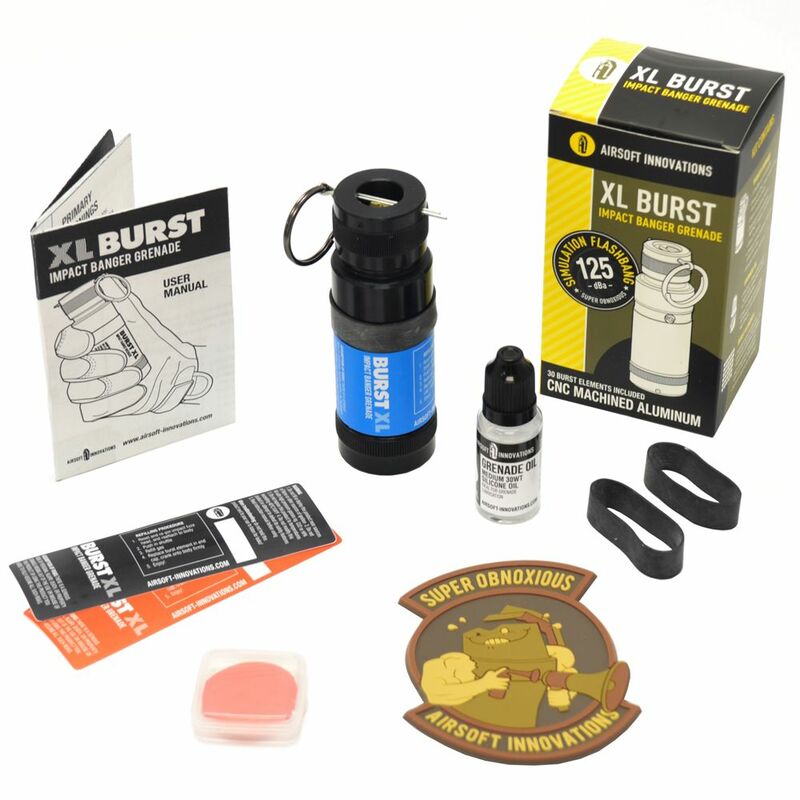 The package also includes 2 fill valve bands, 2 waterproof skins, 2 safety pins, 1 bottle of grenade oil, 30 burst discs, and 1 mystery patch.